Ingrown hairs, commonly called “razor bumps”, are hairs that have curled around and grown back into the scalp instead of growing up from the skin as normal. Razor bumps, or ingrown hairs appear most commonly among people who have curly hair or those of the African American community, according to the University of Alabama, Birmingham Health System. An ingrown hair can lead to a red, raised bump with the shape like a small pimple. Sometimes, there might be pus inside the bumps. It also leads to pain, inflammation, swelling, redness, and irritation in the infected areas. 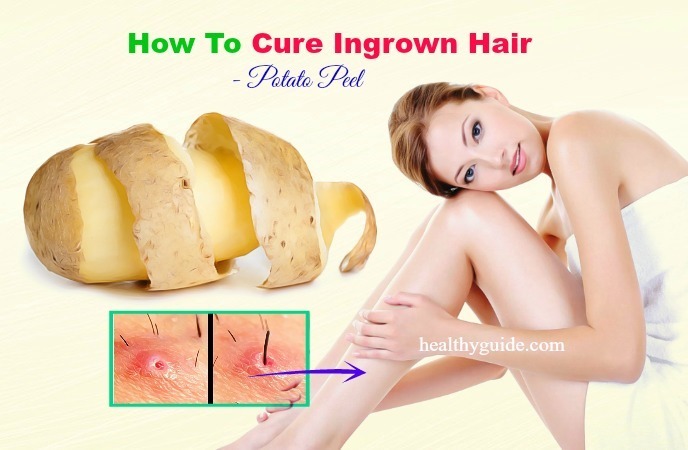 Thus, making how to cure ingrown hair the first concern of your own, and you will find the solution here with Healthy Guide. Before learning how you can deal with your own ingrown hair issue, take a quick look at the page how to to know more problems of hair and more related topics. Then, you will be better aware of what you are facing, and then this article will be helping you and your own ingrown hair case. This hair issue happens most frequently as people shave to clear unwanted hair, like the legs, beard area, bikini area, and underarms. This is not a severe hair problem. However, it is definitely an irritating issue that affects many people. In most situations, ingrown hair disappears naturally on their own because the hair eventually grows out of the skin’s surface. However, some simple natural treatments can help to boost the healing process as well as diminish the redness and inflammation. To get rid of the hair growing back into the skin’s surface, you can lift it out just with 2 tweezers or a sterile straight. Besides, avoid picking or digging at your ingrown hair though. As an ingrown hair occurs, you might notice small-size, pus-filled bumps known as pustules or round, small-size bumps known as papules. In some situations, the skin around the ingrown hair might become darker. This issue is called hyperpigmentation. You might also experience itching or pain around the ingrown hair area. Some people be at a higher risk for developing this problem. For instance, people with curly, thick hair tend to have ingrown hair more often than people with thin, fine hair. This is even more true with pubic hair, tending to be coarser than hair on the head or all over the body. As you clear the ingrown hair, they often grow back. Most hair shafts will grow up through the skin’s surface without leading to any problem. Other ingrown hair strands might grow underneath your skin. For instance, as you shave, the shortened hair might curl back and rise into your skin. As hair grows back into the skin, your body will respond to the hair as if it were a foreign object. That is when the signs of the condition starts, including swelling, redness, itching, or pain. 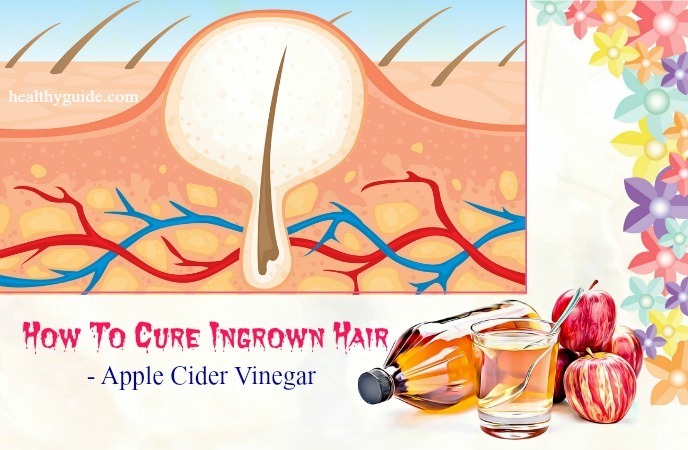 There are many tips on how to cure ingrown hair in legs, on face, armpit, and scalp naturally at home that everyone can make use with ease. Here are some of the best tips for you to try! Sugar is an excellent skin scrub that can aid a lot in getting rid of ingrown hair. It can gently help to exfoliate the skin, help the ingrown hair come out of your skin’s surface and remove dead cells. In addition, it can make the skin smooth like silk. Try mixing 1 cup of white sugar with ½ cup of jojoba oil or extra-virgin olive oil. 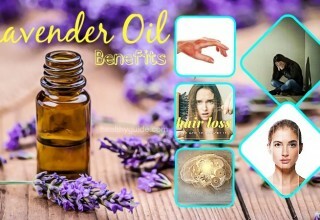 Stir in ten drops each of lavender essential oil and tea tree oil. Apply a small amount of this home-made scrub onto the infected region. Use this scrub to apply gently the skin for 5 – 7 minutes in circular motions. Then use lukewarm water to wash it off. Apply this method 1 – 2 times per week as necessary. For storing the remaining scrub, use an airtight container to use another time in the future. 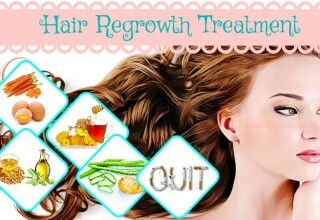 This is also among the most amazing tips on how to cure ingrown hair on face, scalp, armpit, and in legs. Baking soda contains a soothing influence on the skin’s surface thanks to its anti-inflammatory power. In addition, it can aid a lot in relieving itching by exfoliating the skin’s surface as well as reducing redness triggered by ingrown hairs. 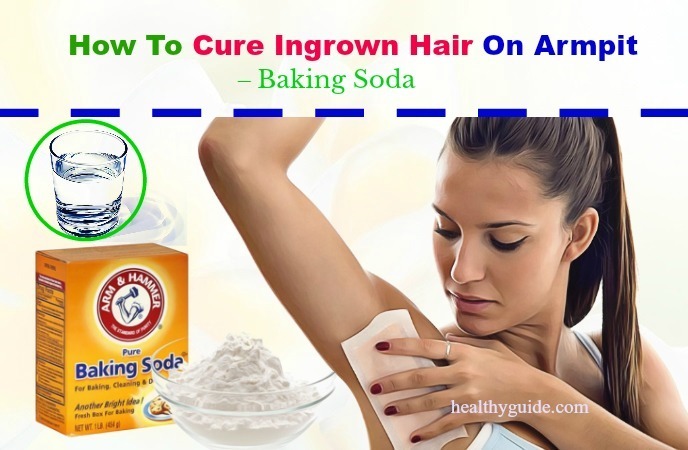 Thanks to the anti-inflammatory power and soothing power of baking soda, it is a great choice to prevent ingrown hair. It can also help in reducing redness and itching, as well as act as a natural exfoliator. Make a concentrated solution of water and baking soda and use it to apply directly onto the infected area using a cotton ball. Let it stay within about five to ten minutes and then use lukewarm water to rinse it off. Apply this method every day for 7 days at least to see the best results as desired. Alternatively, you can also try making a natural scrub from water, baking soda, and ground oatmeal. Prepare 1 tsp. each of ground oatmeal, baking soda, and 1 tbsp. of water. Mix the ingredients together to form a paste. Use the paste to apply gently onto the skin’s surface and let it stay within not more than 5 minutes. Then use lukewarm water to rinse if off and gently pat your skin dry. Apply this method 2 times every day as necessary. 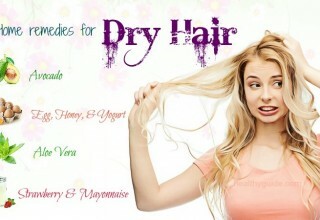 Learn More: 16 Most Common Hair Problems in Men and Women Are Revealed! Tea tree oil contains anti-inflammatory, antibacterial, and antiseptic properties, according to a , that can aid a lot in removing an ingrown hair and preventing infection as well. You can simply use a cotton ball to apply the tea tree oil directly onto your skin. The regular application of tea tree oil can help a lot in facilitating the hair to come out from beneath the skin’s surface and will also aid in preventing further development of ingrown hair. Try mixing five to seven drops of tea tree oil with 1 tbsp. of olive oil and apply over the infected area. Let it stay within about fifteen minutes. Then rinse it off with cold water. Alternatively, try mixing 12 drops of tea tree oil, 7 drops of lavender oil, and 3 tbsps. of coconut oil together, and rub a small amount of the mixture after removing the hair. 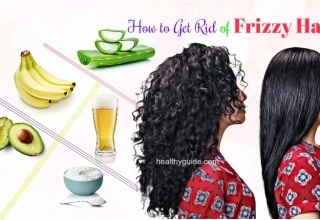 It is a very useful natural treatment and also among the best tips on how to cure ingrown hair on scalp, face, armpit, and in legs. One more tip is diluting tea tree oil with some water and use it to apply directly onto your infected skin region after cleaning it properly. Besides, try mixing 3 tbsps. of tea tree oil with 1 tbsp. of olive oil and gently massage the infected area with this combination. Let it stay within ten to fifteen minutes and then rinse off the infected area using lukewarm water. Apply this method three to four times per day for 3 – 5 days till you see the desired improvement. Soak 2 aspirin tablets in 1 tsp. of warm water till it creates a paste-like consistency. Add 1 tsp. of honey to that paste. Use the paste to apply directly onto your infected area. Let it stay within about ten minutes. 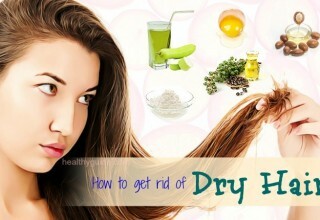 Rinse it off using warm water and then pat your skin dry gently. Apply this natural treatment 1 – 2 times per week as needed. Note: Those having highly sensitive skin should avoid following this method. Salt can work effectively as a wonderful exfoliating agent and can help a lot in increasing circulation, reducing swelling, and promoting the healing process at the same time. Try mixing 1 and ½ tsps. of table salt in 1 cup of lukewarm water. In the mixture, dip a cotton ball and use it to rub gently over the infected skin area. Let it stay within about 10 minutes and then use plain water to wash it off your skin. Apply this method 2 times per day till the ingrown hair disappears. Note: Avoid using this natural method if your skin gets irritated or red. Keep reading this article for more useful tips on how to cure ingrown hair in legs, on face, armpits, and scalp. 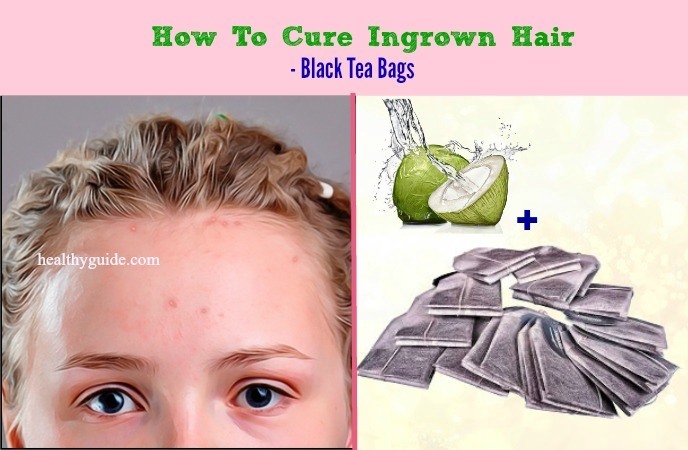 Black tea bags can also be one of the most amazing things for anyone who wants to know how to cure ingrown hair on face, armpits, scalp, and in legs. Black tea bags have tannic acid, according to a , which can help to reduce inflammation and redness, as well as soothe the skin’s surface. The tannic acid content of black tea can aid a lot in clearing inflammation, redness, and itching. 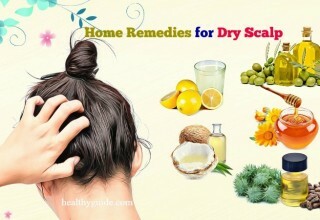 It can also help to soothe the skin’s surface. Moisten a tea bag in water. Either rub or just keep it over the infected skin area. In addition, you can try steeping 1 black tea bag in hot water for 3 – 5 minutes. Remove it from the water and try squeezing out the solution into a bowl. Mix in 1 tsp. of coconut water. In the mixture, soak a cotton ball and then use it to gently press onto the irritated skin’s surface. Apply this method 2 times per day for 5 – 7 days or till you see the desired results. Extract the gel from 1 fresh aloe vera leaf. Rub the gel directly onto the irritated skin’s surface. Let it dry on its own for about ½ hour. Wash it off using lukewarm water. Apply this method 2 – 3 times every day for about 5 – 7 days or until you see the desired improvement. 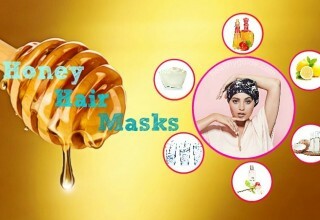 Apply directly a layer of honey onto your irritated skin area. Allow it to air dry within about ten minutes. Then wash it off with cold water. Apply this method 3 – 4 times per day for as necessary. Apple cider vinegar has anti-inflammatory properties that help reduce inflammation and soothe the skin. Plus, it helps destroy skin bacteria and yeast, which in turn reduces the risk of infection. 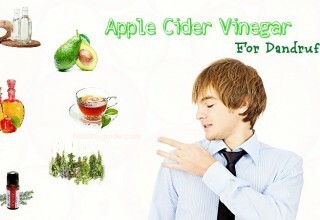 Apply apple cider vinegar with a cotton ball onto the infected skin area. Take time waiting for the skin to absorb the vinegar. Then rinse your skin with lukewarm water. Apply this method 2 times per day until you see the improvement in your own case. For better tips on how to cure ingrown hair on scalp, armpit, face, and in legs, you should not miss the next parts of the article. Keep going with us! Cucumber has anti-inflammatory and hydrating properties that can help to deal with the irritating signs of ingrown hair effectively. In addition, cucumber contains vitamin C and can aid a lot in relieving itchiness and pain. Try placing fresh cucumber slices in the fridge for ½ hour. Use the chilled cucumber slices to gently rub onto your infected skin area. Apply this method many times on a daily basis for several days. Alternatively, try making puree of ½ a cucumber. Mix in 1/3 cup of milk. Place the combination in the fridge for about 15 minutes till it is cold. Soak a cloth in the combination and apply it to the irritated skin region for about 10 minutes. Then wash it off using lukewarm water. Apply this natural cure 2 times per day for few days till your issue improves. If these natural cures do not bring about the results you desire or if an ingrown hair has become infected, go to the hospital or consult a doctor to cure the disease properly. Witch hazel is also an extremely useful ingrown hair cure. Dip a cotton ball into the witch hazel extract and use it to apply directly onto the infected skin area. Its anti-inflammatory and anti-bacterial power will help to deal with the issue effectively. Researches have proven time and again that this natural ingredient can help a lot in working as natural astringent because it contains anti-inflammatory properties, which can work well with many dermatological infections like skin inflammation. This is also one of the best tips on how to cure ingrown hair in legs, on face, armpit, and scalp that we would like to encourage readers of Healthy Guide to make use right today. Use the fleshy inner side of a peeled potato to cover up the infected skin area. Use a band-aid to secure the peel, if needed. Let it stay within about 1 day for good. 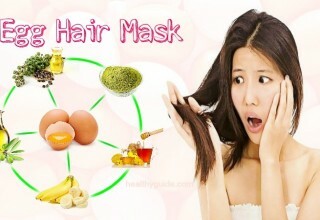 It is extremely useful in bringing out the hair on the skin’s surface. The sufficiency of boiled potato peels in treating skin wounds had been medically researched as well. Raw potato peels are also proven to be having antioxidant power. This is the last tip on how to cure ingrown hair infection that you should not look down if you do not want to see ingrown hair any more on your own skin. From increasing the blood circulation to exfoliating the skin to speeding up the healing process and reducing swelling, and sea salt does it all. Everything you may need to do is to create a paste of water and sea salt and use it to apply directly with the aid of cotton ball in the affected area. Let it stay within about ten to fifteen minutes and then use water to rinse it off. It must be done two times per day till the ingrown hair gets treated in time. Besides, you can try mixing some Epsom salt in bathing water and soaking yourself in it. It can aid a lot in loosening the ingrown hair and bringing them to the skin’s surface. Note: Avoid applying this cure if you have sensitive skin and may have response to salt. Women need to prefer waxing instead of shaving. Rinse frequently the area surrounding your ingrown hair using lukewarm water and mild soap. Always make use of razor which has a single blade. Use the skin cleanser regularly. Exfoliate and scrub to avoid the dirt particles accumulation. Apply some  ointments over your skin’s surface after clearing the ingrown hair. Ingrown hair must be only removed as you find the tip of those hair strands above your skin. Exfoliate your skin before shaving. Lift the ingrown hair out using a pair of tweezers or a sterilized straight pin. Moisturize your skin before making use of any natural remedy for ingrown hair. Avoid applying too much pressure while you shave ingrown hair and avoid allowing your skin’s surface to stretch too much. Avoid shaving your skin for up to four weeks after you remove ingrown hair. Women should avoid making use of hair removing creams for up to two weeks so that you will be able to avoid the risks of irritation. Avoid wearing tight clothes on the skin regions with ingrown hair. Do not use old blades and razors for shaving purpose. 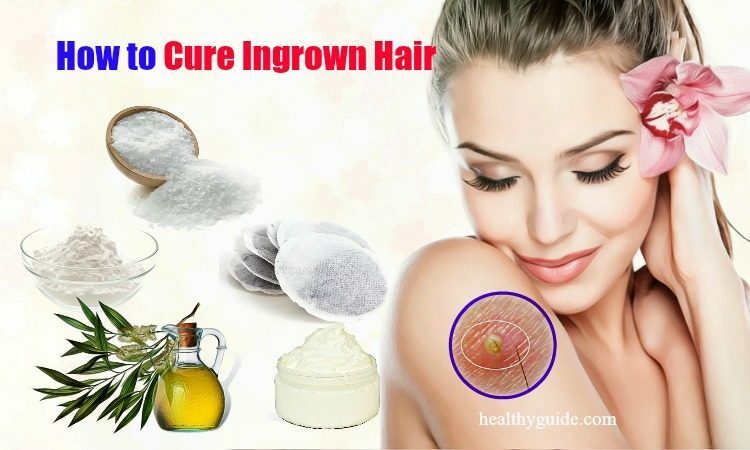 Actually, all of the methods as mentioned on Healthy Guide can help in removing ingrown hair as they are all effective tips on how to cure ingrown hair infection on face, scalp, armpit, and in legs that everyone can apply at home. 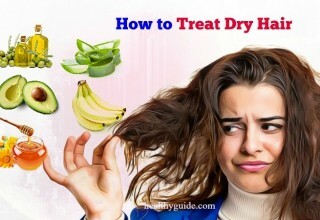 Therefore, if you, your friends or family members are suffering from this hair issue, you can consider applying one or more of these natural methods. 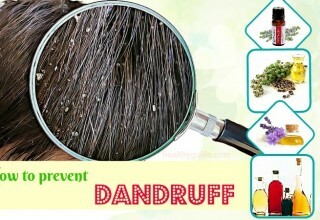 Also, if you know other effective natural cures for this hair issue, do not hesitate to share them with other readers by leaving your comments in the comment box below.